Bethany may seem like a small town compared to what Oklahoma City has to offer, and the latter may seem like it has a lot more options and variety. However, you do not have to look far to find almost anything you would need or want. According to www.manta.com, Bethany has almost 2,000 companies, which includes 60 restaurants, 23 grocery stores and almost everything in between. “But why should I buy in Bethany?” you may ask. In addition to convenience, there are many ways you and the community can benefit from buying locally. When you buy from businesses in Bethany, much more of your money is distributed in the local economy. This strengthens the economy and points it toward a better, more financially stable path. Local businesses also provide more jobs for the community, keeping even more money circulating in the city. John Martin, former chair of the Northwest Chamber, said, “A good business climate not only brings products that we need to us but literally keeps the town alive financially.” He went on to say that when businesses leave, the town’s ability to have a financial future leaves too. Another benefit of buying locally is that you can keep your tax dollars in Bethany. The main way cities get financial support is through sales tax. The more you buy from local businesses, the more taxes are available for the city to use. The city government can be improved when local businesses thrive. If you like Bethany enough (chances are you will have to if you live on-campus), it would be better not shop all over the place and make purchases from lots of different cities. 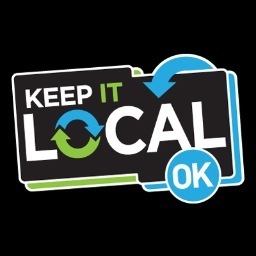 Keeping it local can also help you save gas. Because Bethany is a smaller city, you do not have to drive far to find what you need or want. Instead of driving out to Oklahoma City, for example, a little research and asking around can save you time and money. “Many products and services that you would otherwise find at the mall or online can be walking distance of the SNU campus,” said Martin. Small businesses are able to provide a large range of products, so you might consider your options before buying something from a chain store. If you can purchase something from a small business, all the better. More small businesses usually lead to lower prices. Nevertheless, whether you shop from local chains or small businesses, you are helping the community. Unique, non-chain businesses are also part of what makes Bethany what it is. Every city can have a McDonald’s or a Whataburger, but it is places like Pizzini’z Pizza that make Bethany special. Locally owned businesses comprise Bethany’s identity as a whole and keep people coming back. On the manta.com website, you can search for and find all sorts of one-of-a-kind shops and restaurants in Bethany. John Martin recommends the Bethany Antique Mall for antiques or collectibles, Homeland Grocery for food and the Stray Dog Café and Tai Pei for eating out.